The CD117 antigen, also known as Stem Cell Factor Receptor (SCFR), mast-cell-Kit, and steel factor receptor, is a 145 kDa transmembrane glycoprotein encoded by the ckit proto-oncogene. The CD117 molecule belongs to the class III Receptor Tyrosine Kinase (RTK) family. Within the haematopoeitic compartment, the CD117 molecule is expressed on approximately 50 % of CD34+ progenitors engaged in erythrocytic, myelo-monocytic and megakaryocytic differentiation. Although CD117 is primarily a marker for non-lymphoid progenitors, it has been reported to be detected on early lymphoid progenitors. 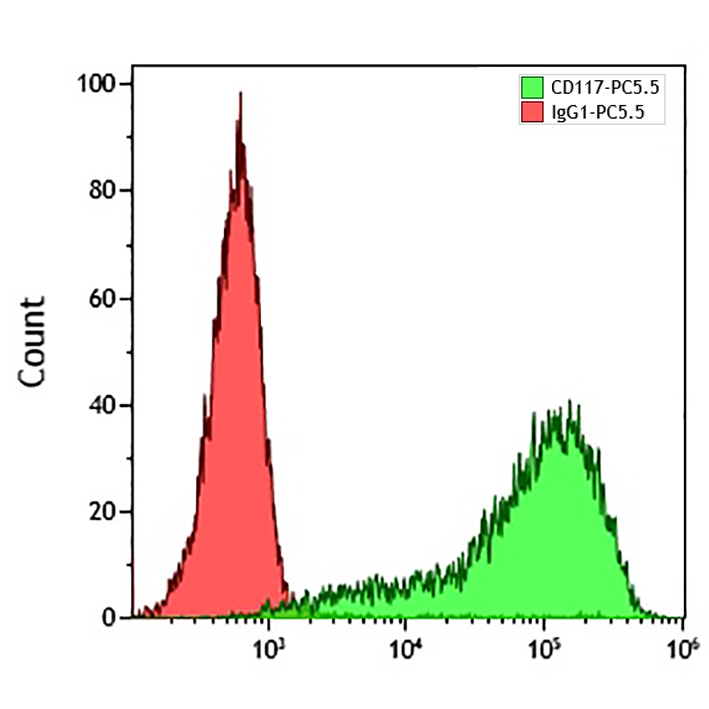 CD117 expression has been found on a small subset of resting NK cells (CD56 bright), and about 30% of immature CD3- CD4- CD8- thymocytes. CD117 is also expressed on mast cells and detected on non-hematopoietic cells such as reproductive system, melanocytes and embryonic brain cells.